5 Common Causes of Neck Pain. Neck pain can be acute or chronic but regardless, when you’re in pain, relief is the first thing on your mind. Just as important as relief, of course, is finding the cause and ensuring you avoid the behaviour that brought the pain on in the first place. Poor Posture: Leaning over a desk all day or slouching in your office chair? You’re bound to develop neck pain eventually. Monitor Fixation: Staring at the computer screen for hours at a time? That’s not good for your spine, it places a great deal of strain on your upper back and neck and can produce neck pain, and headache. Sleep: Ideally, we spend a third of our life sleeping, so sleep can have a dramatic effect on your health. So don’t sleep on your stomach, try sleeping on your back or your side. If you need a new pillow try a contoured Chiropractic pillow to better support your head and neck. Technology: As a culture we are increasingly spending another third of our day typing, and texting. That can be especially bad for your neck, one doctor has even coined the phrase “text neck” the neck pain that results from constant interaction with technology. Random Movements: Twisting, turning, stretching and stressing your neck too much is an easy way to cause neck pain. While the joints and muscles in the neck are strong, they can be strained and sprained like any other tissue. It’s important to note that beyond these common causes, various other health issues can also contribute to or directly cause neck pain. The good news is that a chiropractor can help identify which of these or the above causes is to blame. When people suffer from neck pain most people turn to a temporary solution first: pain-relieving medication. But that’s not a permanent solution, of course, and it doesn’t address the cause of the pain at all. 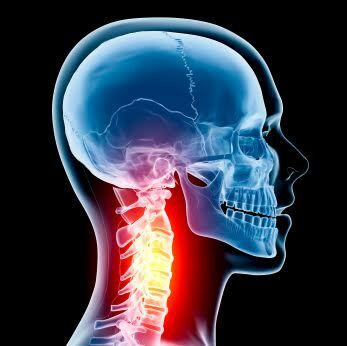 Furthermore, research suggests chiropractic spinal manipulation is better than medication for relieving neck pain1. Suffering from neck pain? Then give your doctor of chiropractic a call. They’ll help you relieve your pain and determine the cause.